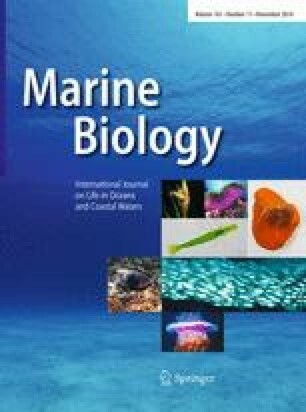 Phylogeographic patterns among coastal fishes are expected to be influenced by distinct ecological, biological and life history traits, along with historical events and oceanography (past and present). This study focuses on the broad range phylogeography of the Montagu’s blenny Coryphoblennius galerita, a species with well-known ecological features, strictly tied to rocky environments and with limited dispersal capability. Eleven locations from the western Mediterranean to the Bay of Biscay (including the Macaronesian archipelagos) were sampled. Mitochondrial DNA control region (CR) and the first intron of the S7 ribosomal protein gene were used to address the population structure, the signatures of expansion/contraction events retained in the genealogies and potential glacial refugia. The genetic diversity of the Montagu’s blenny was high throughout the sampled area, reaching maximum values in the Mediterranean and western Iberian Peninsula. The results confirmed a marked structure of C. galerita along the sampled area, with a major separation found between the Mediterranean and the Atlantic populations, and suggesting also a separation between the Azores and the remaining Atlantic locations. This study revealed complex and deep genealogies for this species, with Montagu’s blenny populations presenting signatures of events clearly older than the Last Glacial Maximum, with lineages coalescing in early Pleistocene and Pliocene. Three potential glacial refugia where this species might have survived Pleistocene glaciations and from where the recolonization process might have taken place are suggested: South of Iberian Peninsula/North Africa, Mediterranean and Azores. The online version of this article (doi: 10.1007/s00227-014-2523-6) contains supplementary material, which is available to authorized users. We are grateful to Sonia Chenu for her help with the lab work and Carla Sousa Santos for her help with the labwork and her skilful help with editing the nuclear sequences and with network drawing. This study was funded by the Eco-Ethology Research Unit’ Strategic Plan (PEst-OE/MAR/UI0331/2011) – Fundação para a Ciência e a Tecnologia - FCT (partially FEDER funded). SMF was supported by an FCT Grant (SFRH/BPD/84923/2012). We dedicate this paper to the loving memory of Professor Vítor Almada whose tragic loss we suffered during the course of this work. He was our inspiration and the one responsible for the idea behind this study.